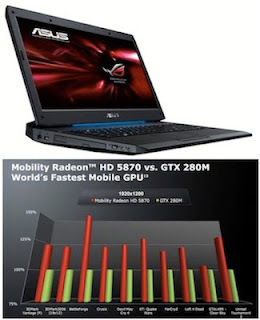 Asus has introduced two laptops G73JH-X1 and G73JH-A2 featuring ATI Mobility Radeon HD 5870 graphics card. Both laptops are world’s first laptops to offer the new high-end card from AMD. According to AMD, Mobility Radeon HD 5870 out performs NVIDIA’s top-of-the-line GTX 280M by a margin of over 25 percent. The HD 5870 graphics card on both the laptop comes with 1GB GDDR5 RAM, 700MHz core clock speed with 800 GPU pipelines, and 1000MHz memory clock speed. 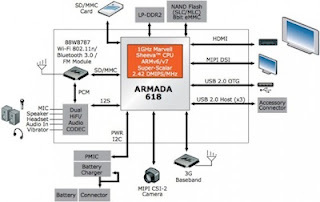 Marvell has announced the newest addition to the ARMADA family of application processors – the Marvell ARMADA 618 that offers a 1GHz CPU core with PC class performance, integrated 1080p full HD encode and decode and exceptional 3D graphics. Along with the new application processor, Marvel also introduced $99 Pantheon smartphone platform that includes powerful application processors, cellular modems, radio frequency device, intelligent power management and power-efficient WiFi/Bluetooth/FM connectivity. 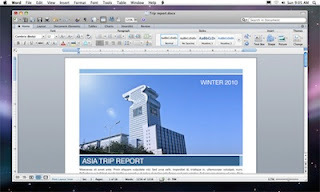 Microsoft today unveiled its Office 2011 for Mac at Macworld 2010 in San Francisco. Microsoft says that the new productivity suite will focus on anywhere, anytime and across platform sharing. 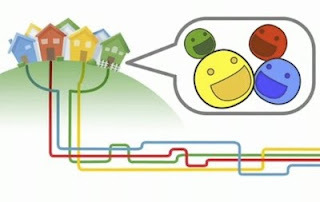 “Together with your team - officemates, family and classmates – you are part of the community that helps shape each version of Office for Mac,” said Eric Wilfrid, MacBU general manager at Microsoft Corp.
Google is planning to experiment with ultra high speed Internet access by building and testing ultra high-speed broadband networks in a small number of trial locations across the US. Google is aiming for Internet speeds more than 100 times faster than what most Americans have access to today with 1 gigabit per second, fiber-to-the-home connections. The company will offer service at a competitive price to at least 50,000 and potentially up to 500,000 people. iSuppli has posted preliminary estimate for component costs of upcoming Apple iPad. The 16GB model costs as little as $219.35 and the three biggest contributors to the cost are $80 for touchscreen, $29.50 for 16GB flash memory and $17 for A4 processor. The 32GB and 64GB models have same component cost except 32GB memory is $59 and 64GB is $188. According to iSuppli, the most profitable of the six iPads is the 32GB version with 3G-network access as combined materials and manufacturing cost of $287.15 amount to 39.4% of the retail price. Yesterday, Google launched their new service called Buzz that aggregates live updates from Twitter, Google Reader, Flickr, Picasa and YouTube for a user. The service is available as web app for iPhone and Android handsets, and is also integrated with Gmail offering all the information in a single window. 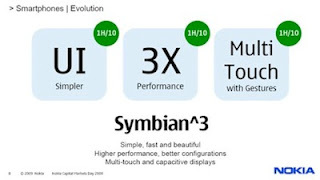 Since 2007 computer industry has been very excited about Hybrid Graphics that combines integrated graphics and discrete GPU to offer both performance and better battery life. However, this technology hasn’t seen large-scale adoption, as you have to manually switch graphics settings and have to either restart the laptop or wait sometime for changes to take effect. 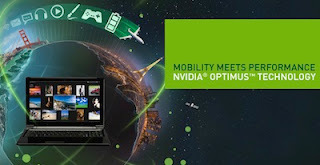 But that might change as NVIDIA today launched their new Optimus technology, which automatically chooses the best graphics processor for running a given application and automatically routes the workload to either an NVIDIA discrete GPU or Intel integrated graphics. 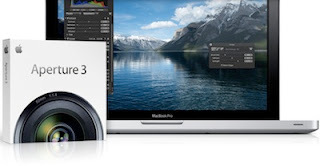 Apple today introduced Aperture 3, the next major release of its powerful photo editing and management software, with over 200 new features including Faces, Places and Brushes. Building on the innovative Faces and Places features introduced in iPhoto ’09, Aperture 3 makes it even easier and faster to organize large photo libraries. Aperture 3 introduces new tools to refine your photos including Brushes for painting image adjustments onto parts of your photo, and Adjustment Presets for applying professional photo effects with just one click. Stunning new slideshows let you share your work by weaving together photos, audio, text and HD video. 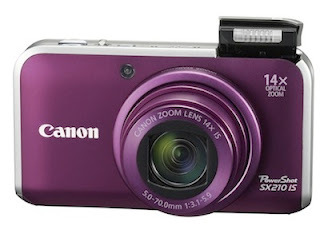 Canon today announced addition of four new PowerShot digital cameras, the PowerShot SX210 IS, PowerShot SD3500 IS, PowerShot SD1400 IS and PowerShot SD1300IS. The new cameras offer Smart Auto mode along with new Scene Modes and Image effects. A French website Nowhere Else claims Apple will release new MacBook Pro models tomorrow. 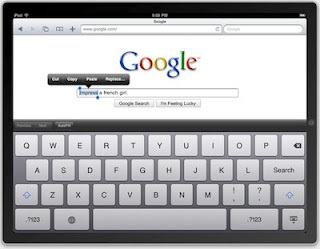 This information was given to the website by an anonymous source close to Apple. It has been rumored for past few weeks that Apple is planning to update their MacBook Pro lineup. It was previously believed that the company would announce the update at the Apple media event, which took place on 27th January. 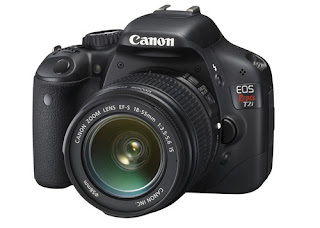 Canon today officially announced new Rebel T2i DSLR with 18-megapixel APS-C CMOS sensor and Full HD video recording. The new features on T2i include 3.7 fps continuous shooting, ISO range of 100-6400 (expandable to 12,800), a 63-zone Dual Layer Metering System and DIGIC 4 image processor. It is rumored that Microsoft will showcase Windows Mobile 7 at Mobile World Congress later this month. 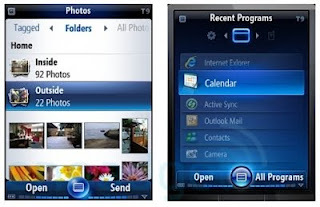 Many website have now posted details about the upcoming smartphone OS from Microsoft. And it looks like Microsoft has taken a page out of Apple iPhone playbook for development of their new OS, which can be a good thing for the company. 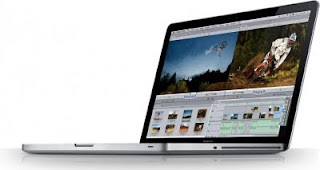 It has been rumored for quite sometime that Apple will update their MacBook Pro lineup. And recent benchmarking result posted on Geekbench indicates this update will come sooner than later. 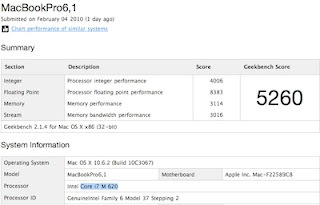 The test result show that the benchmarking tool was ran on MacBook Pro featuring 2.66GHz Intel Core i7 620M processor with 4GB DDR3 RAM. The present MacBook lineup uses Core 2 Duo processor and it is believed the update will bring recently announced Core i5 and Core i7 processors to the MacBook Pros.